Dataforth's DSCP and SCTP series of products, along with the DSCL product line, provides a complete family of loop and universal AC/DC powered isolator and transmitter models in component, DIN rail, panel, and head-mount packages. They protect measurement and control signals and connected equipment from noise, transient power surges, internal ground loops, and other hazards present in industrial environments. Dataforth's family of compact DSCP signal converters includes seven different models, each housed in an ultra-slim 6.2mm case. 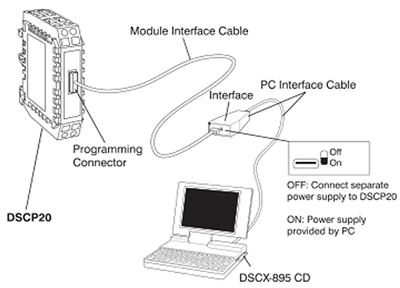 Note: Interface cables are required to connect to and configure modules. 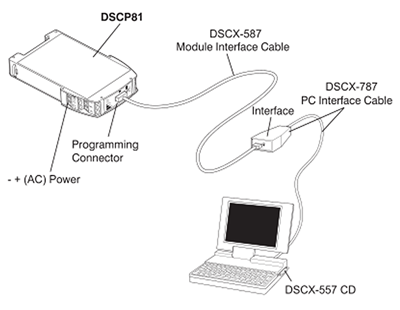 Can terminals 6 & 8 on DSCP62 be connected together without damaging the unit? Yes. However, keep in mind, when those terminals are not connected together, the module offers up to 1500Vrms isolation of the output section from the power section. When those terminals are connected together, that isolation is cancelled, so the input of the device the module output is driving can no longer float. Module still retains 1500Vrms withstand capability to the T/C or other type of input when pin 6 and 8 are tied together.